iPhone 8 Rumors: Can Apple Deliver Under Pressure? Can Apple Deliver the iPhone 8 Under Pressure? A render of what the iPhone 8 could look like, by iDropNews. We’re now just a few short months away from Apple’s unveiling of the next generation of iPhones. iPhone sales now make up 70 percent of all revenue for Apple; tens of billions of dollars hang in the balance. But analysts and journalists are now openly wondering: Can Apple stick the landing while not only putting out updates to the iPhone 7, but also debuting a brand-new phone, the iPhone 8? And even if they do, will consumers be willing to shell out over a thousand bucks for the thing? The iPhone 8, as described by leaks and rumors, will see the company doing away with bezels and a physical home button in exchange for an OLED screen that covers close to the entire front of the phone. This won’t come cheap: Many expect the iPhone 8 to cost at least $1,000, and some are predicting $1,200 — which would make Apple’s top-end iPhone cost nearly as much as a MacBook laptop. In terms of the year ahead, OLED displays continue to be top-of-mind for investors when contemplating form factor improvements that could drive a growth revival, particularly with the iPhone. With OLED, we struggle to see the incremental benefits visually that would inspire a customer to replace an adequately-performing device. While battery life could improve with OLED, our conversations with industry participants suggest that most consumers will not notice any major “must have” experience changes because of new OLED displays versus LCD. We think that this dynamic, if sustained, could limit the upside potential related to new OLED-based devices that likely sell for a premium, which could keep average selling prices from moving much higher. The market has become overly optimistic on iPhone’s potential sales into the upcoming iPhone launch this fall, and is ignoring the fundamental challenges Apple faces in the smartphone market, which include saturation in mature markets, elongating refresh cycles, declining share plus increased competition in China, and a growing secondary market. Of course, it should be noted that others, including, Credit Suisse and Citi, are much more bullish about Apple’s prospects. But there’s some reason to give credence to the more pessimistic reports. Repeated leaks have suggested Apple is having issues with producing hardware at the scale it needs. KGI’s usually reliable Ming-Chi Kuo has reported Apple may be entering the production cycle for the iPhone 8 later than expected — meaning there may be very limited inventory, and we may not see it for sale until 2018. Others have suggested that Apple was unable to get on-screen fingerprint-scanning tech to work in time, meaning users will have to rely on 3-D face-scanning tech as a biometric way of unlocking their phones and verifying payments. Fast Company’s Mark Miller said this had left Apple engineers with “a sense of panic in the air,” as they struggle to nail down software problems before the phone’s launch. Of course, Apple hasn’t even officially announced the iPhone 8 yet; the company will almost assuredly remain completely mum about the phone until unveiling it later this year. There have been plenty of leaks (with even major players in the supply chain talking openly about the phone), but it’s hard to fault Apple for dropping features that the company has never confirmed would be included on the device. 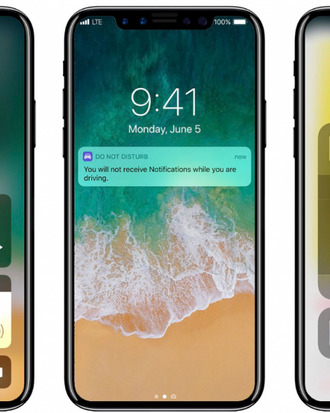 Still, this isn’t just what Apple blogger John Gruber calls “the iPhone silly season.” The iPhone 8 isn’t just a new form factor; its release this year would represent a major break with how Apple has previously released its products. Each year, Apple has steadily released a new version of the iPhone (in two sizes starting with the iPhone 6 and iPhone 6 Plus), following it up the next year with an upgraded version of that phone (from iPhone 6 to iPhone 6S, say), then moving on to the next phone at the end of that two-year cycle. If the company releases an iPhone 8 this year alongside the expected introduction of the iPhone 7S (and iPhone 7S Plus), it will essentially be trying to accomplish two years’ worth of product releases in a single launch. It will make for a confusing product lineup — a direct contradiction of the late Steve Jobs’s insistence on simple, streamlined product lines — but it might be necessary for the company. In 2016, data from Consumer Intelligence Research Partners showed that the upgrade cycle for consumers buying the iPhone has been slowing down since 2013. Fewer people are upgrading their iPhone every year, and more people are holding on to their iPhone for three years or more. Unpublished data from the group shows that the iPhone 7 hasn’t broken that trend. Which means Apple really needs the new and new-looking iPhone to work. And it’s a bad idea to bet against Apple. The iPhone 8 certainly won’t bomb; I’m sure it will be sold out for months, and Apple will easily sell tens of millions of the things, no matter what the price. But at this point Apple’s business depends on not just selling tens of millions of phones, but hundreds of millions. And if a sleek-looking phone was all that mattered to consumers, there are Android phones out there — notably the Samsung S8 — that already sport better screens, better cameras, and sleeker designs than the iPhone 7. What really separates the iPhone from every other phone on the market is iOS. If you want to use iOS, you have to use an iPhone. Apple is about to roll out three phones, all presumably running iOS 11. One of them will probably look much nicer and more futuristic than the other two, but all will run iOS. If I’m holding on to an aging iPhone and I’m ready to upgrade, do I spend (presumably) $649 on an iPhone 7S? Or do I pay potentially twice as much for a prettier iPhone 8 that has a beautiful edge-to-edge screen and maybe not much else?